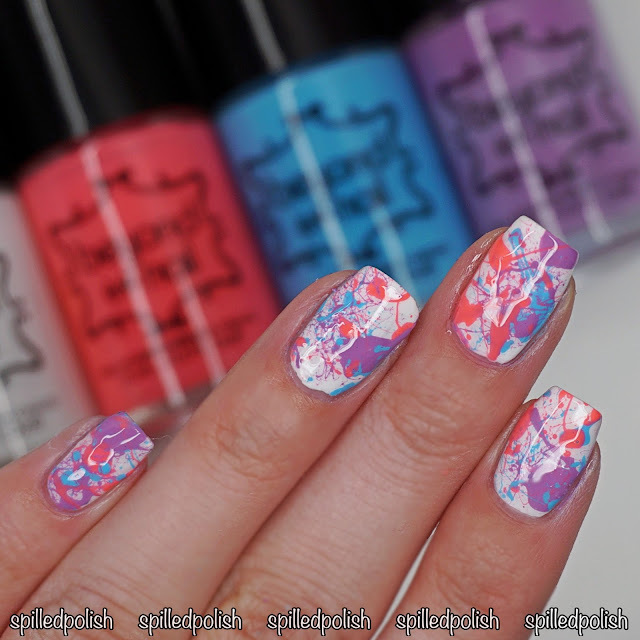 It's day 27 of The 31 Day Nail Art Challenge and today's challenge is Inspired by Artwork! I was inspired by Jackson Pollock who made splatter/drip paintings popular. I started by painting all my nails with one thick coat of Beyond the Nail - Bright White. While that was drying, I painted around each nail with NailExperiments - Easy Peel Latex Barrier. 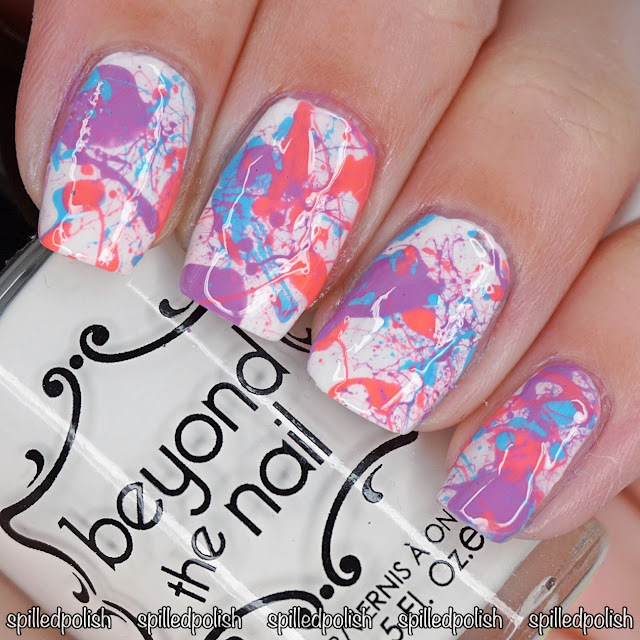 I got Beyond the Nail's Spring Purple Creme, Tropical Grove, & High Tide and poured a bit of each of them onto a piece of paper. 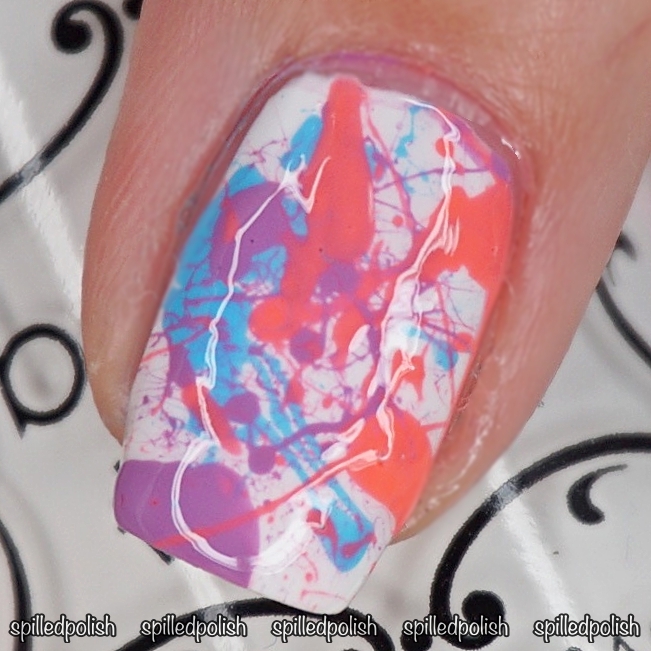 I dipped a straw into each colour and blew it over each nail to get a splatter effect. I peeled away the latex barrier and painted over each nail with one coat of PRO-FX - Quick Dry Topcoat.